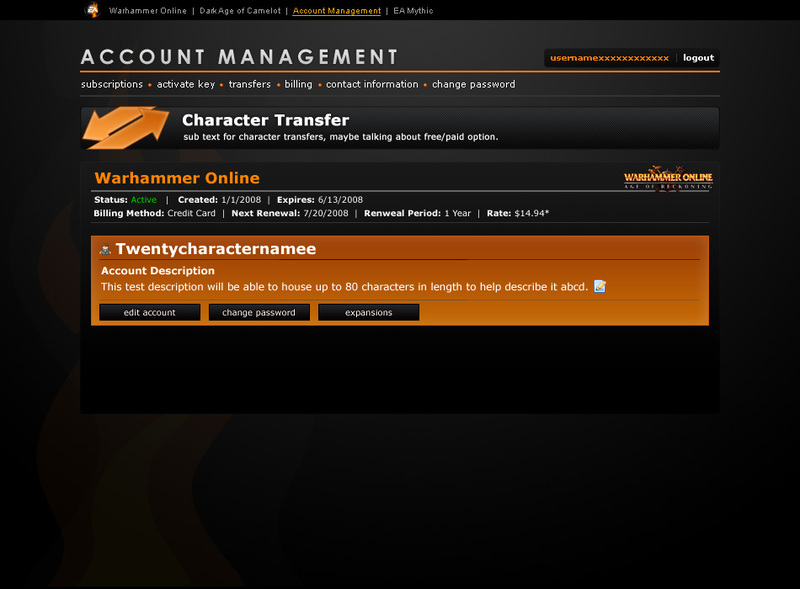 A brand new site for Mythic was their new Account Management site that went live in time for the launch of Warhammer Online. I took some design cues from the EA Mythic Redesign Concept that wasn’t used to give the site a clean and game-neutral look. 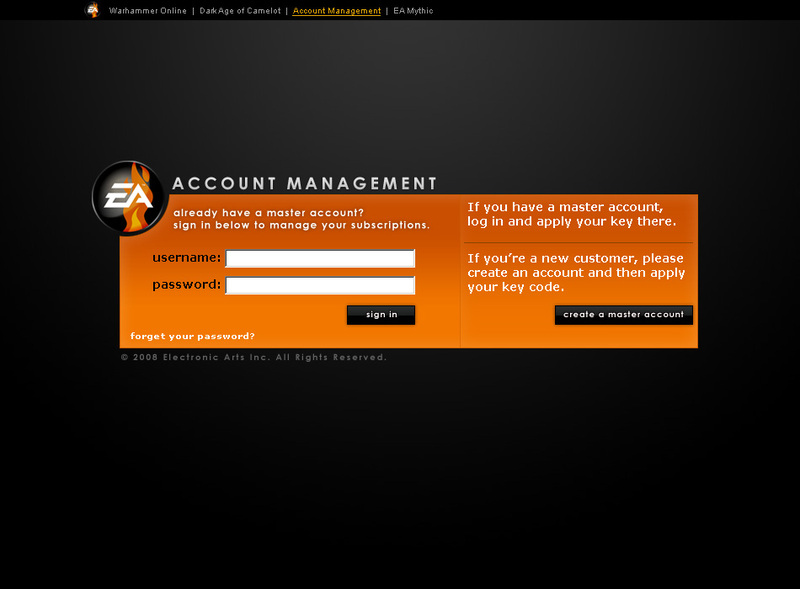 The main use for this site was to allow gamers to log in and access their game accounts held with Mythic. 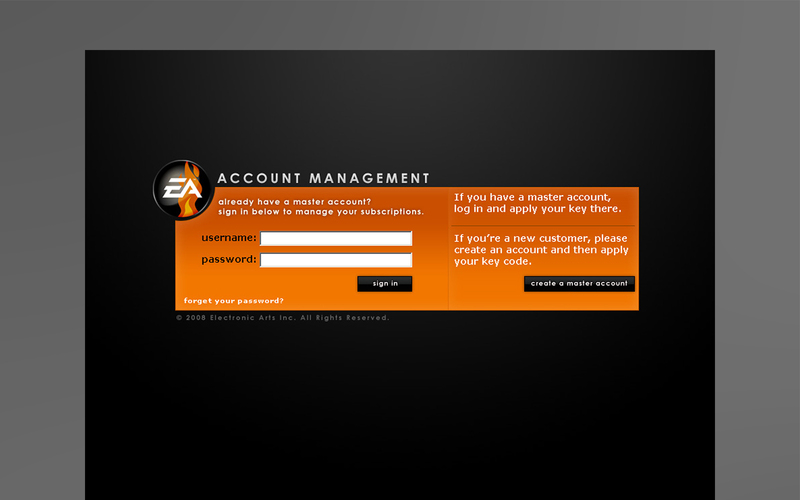 It has since been changed and incorporated into EA Origin system.